Enterprise resource planning (ERP) systems are the backbone of any wholesale or distribution business, automating business processes and enabling the flow of information between functional areas. Few ERP systems, however, include robust supply chain execution functionality. More typically, quality ERP solutions focus on related, but nonetheless essential, functionality for managing inventory such as tracking products as they’re picked, packed, and shipped to the customer. Many small to midsized enterprises (SMEs) – particularly those with high-volume and highly-automated distribution facilities – invest in a dedicated warehouse management system, or WMS, to digitise and automate all aspects of their inventory control. A WMS system adds more sophisticated warehouse functionality to the functionality of an ERP system. This enables organisations to continuously monitor products’ progress as they move in, through and out of the warehouse; keep the receipt, storage and movement of goods under control; and use real-time intelligence to optimise product location and shelf duration. But, the warehouse isn’t an island: other departments, such as manufacturing, purchasing, and customer service need to access warehouse data for decision-making. That means if an SME has a WMS system, it equally needs to have an ERP system that can talk directly, and seamlessly to it. Interfaced vs. Integrated: What’s the Difference? The trouble is, most third-party WMS applications are only interfaced, rather than seamlessly integrated, with their ERP solution. The two solutions are therefore run on separate databases or even separate servers and use middleware or batch export/import processes to manually move data between systems. This leads to unnecessary complexity and data duplication, and the need for custom interface development inevitably incurs yet more expense. With two discrete sets of inventory information, it’s impossible for departments to obtain a single version of the truth. Achieve the speed and agility your business needs to be competitive in today’s market. Provide management with the real-time information they need to make informed decisions. 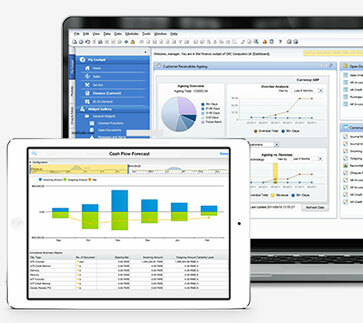 Equip your sales team with data they need to make promises that your business can deliver upon. Enable your customer service team to keep customers in the loop. Update purchasing based on what has or hasn’t been delivered. Truly implement customer-centric picking strategies such as customer-driven shelf life combined with first expired, first out (FEFO) stock rotation. Eliminate manual business processes (and the errors associated with data re-entry) with a straight-through transactional flow. Improve billing speed and accuracy. With full integration, SMEs have a unified system that covers all bases, cross-linked for visibility and control, giving SMEs the benefit of streamlined, transparent, end-to-end business processes. Goods can be optimally organised to make best use of physical warehouse space and employees’ time. And SMEs can feed the rest of the business with the single source of truth it needs to make reliable, fact-based decisions. 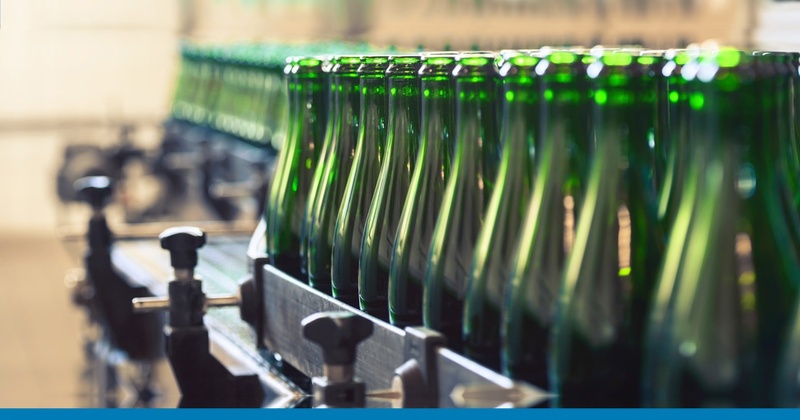 To learn about how Vision33 can help SMEs automate their warehouse with an integrated solution read Vision33’s ERP solution for Food and Beverage Manufacturers/Distributors product brief.